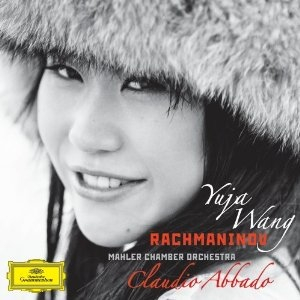 Classical music review: Pianist Yuja Wang and conductor Claudio Abbado team up to make the most interesting CD of Rachmaninoff concertos I’ve ever heard. I don’t know if the new Deutsche Grammophon recording by Yuja Wang of Rachmaninoff’s early Piano Concerto No. 2 and his more mature “Rhapsody on a Theme by Paganini” is the best recording I have ever heard of those two popular works. After all, they are competing with some pretty memorable versions, including those by Arthur Rubinstein and Sviatoslav Richter, Vladimir Ashkenazy and Stephen Hough. But I know this much: It is the most interesting recording of these often played and often recorded works that I have heard in a long time, maybe ever. And that is a remarkable achievement. More curious and remarkable still, the reason for that accomplishment is not primarily the outstanding and impressive playing of pianist Yuja Wang, the beautiful young phenom who seems to have flawless fingers as well as nerves of steel and irresistible charisma. 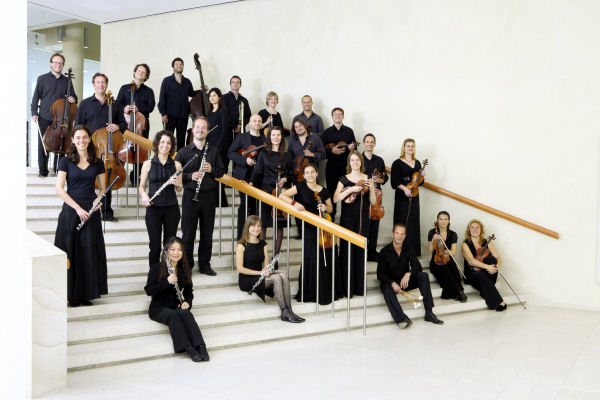 No, the secret to this recording – at least to my ears — is the conductor Claudio Abbado and the Mahler Chamber Orchestra (below). One usually focuses understandably on the titanic piano part in these concertos. 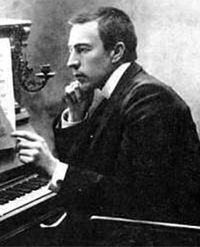 After all, Rachmaninoff (1873-1943) was one of the great virtuosos who performed as well as composed. But what this recording shows is that Rachmaninoff also understood the art of orchestrating. To listen to these recordings is to hear some orchestral moments – themes and polyphony, dialogues and harmonies — that somehow escaped other recordings that focus more on the keyboard virtuosity more than on the music. 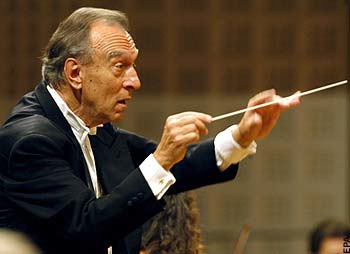 Under the veteran and justly renowned Abbado (below), color and structure matter here more than virtuosity and schmaltzy melodies, though they receive their due too. Indeed, the piano often sounds like it is part of the orchestra. In short, the Grammy-nominated 24-year-old Wang, — who already has two outstanding solo CDs on DG to her credit (“Sonatas and Etudes” and “Transformations,”) based on theme and variations) – has turned in an outstanding and memorable concerto debut. Yet the composer himself (below) reportedly said that his second concerto was more difficult one because it was more complicated and musically subtle, if not more technically challenging. This recording confirms Rachmaninoff’s own view. This version of the Paganini Variations also offers a good chance to showcase the orchestra as well as the piano, though it seems more mainstream, if no less convincing, in its interpretation. I don’t yet know if I will listen to this recording more than to others, though the chances are good. There is still something primal about treating a lush, Romantic warhorse as a lush, Romantic warhorse. Who doesn’t like being swept away? But I know I will absolutely listen to it from time to time as a tonic to other more predictable versions – and perhaps more than those others. Time will tell. One leaves this poetic, subtle and insightful recording also hoping that Wang turns in not only more solo recordings – adding to her Scarlatti, Chopin, Liszt, Brahms, Scriabin, Ravel, Stravinsky and Ligeti – but also more concertos with collaborators the equal of Abbado. I would love to hear that kind of collaboration in Mozart concertos, or Beethoven’ Concerto No. 4, or the two Chopin Piano Concertos. It seems that with each new recording, the Beijing-born and American-trained Wang, who has built a reputation of filling in at the last minute and who seems to have a repertoire as immense as her talent, is ascending higher on the scale of must-hear piano talents. She leaves you wanting to hearing more recordings by her and especially to hear her live. Is there higher praise or promise? What do you think of Yuja Wang? Of her Rachmaninoff piano concertos? Of her solo recordings and live performances?